Hi Helen, please tell us a bit about you? 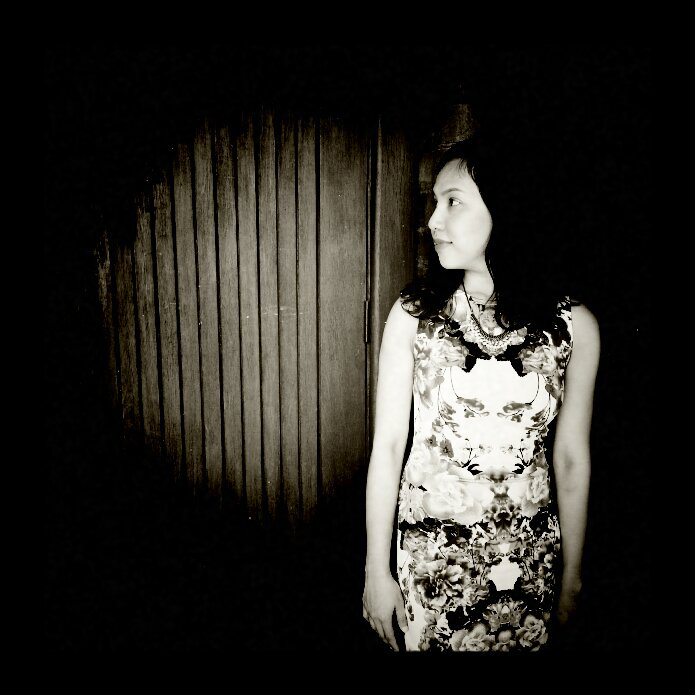 My name is Helen Dao. I was born in Vietnam, used to live and study in France, then have spent half of my life residing in Australia ever since. I’d never been a make-up or skincare type-of-girl until my mid-twenty. That’s when I started noticing a few premature aging signs on my face. I was then on an endless search for my Holy Grail skincare products but couldn’t find anything that could balance and soothe my sensitive combination skin, plus nourish it for the better. Hence, I searched for skincare recipes and started making my own skincare as a hobby. However, following Internet recipes was not enough. 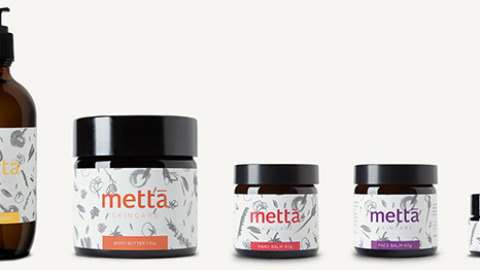 I wanted to make natural skincare products that are effective, feel good on the skin and smell great. That’s how I found Formula Botanica and enrolled with the school. I’ve always been a creative person and this opportunity has given me a real good excuse to leave my corporate job and build my own skincare brand, Be Fraîche. 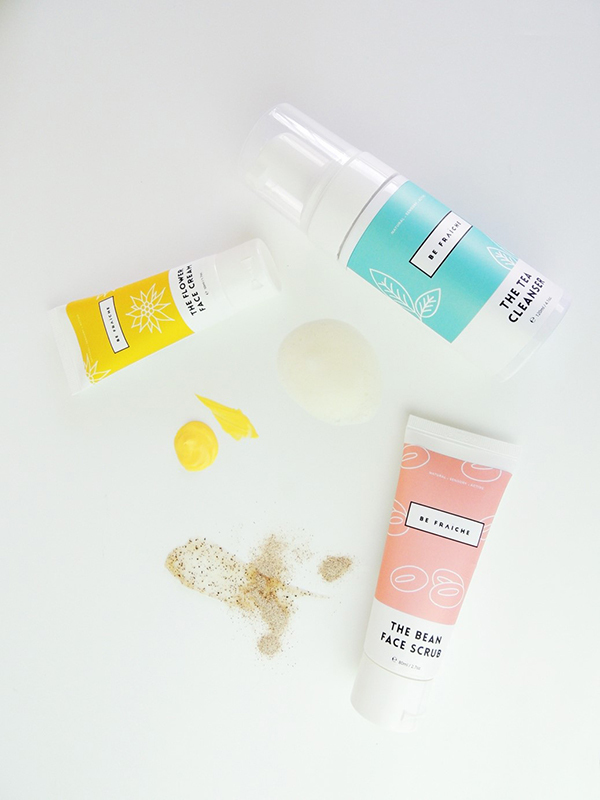 Be Fraîche is an Australian-owned and made all-natural skincare company that creates natural, sensory and active skincare for belles and beaux who love smooth, healthy and balanced skin. 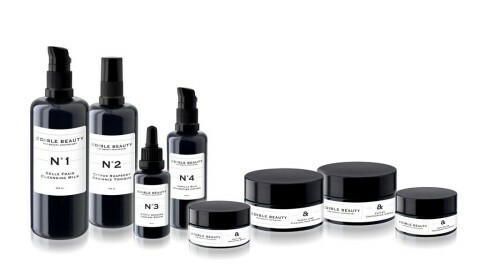 I formulated my products by fusing together the most powerful Asian and Western ingredients and French aromas. 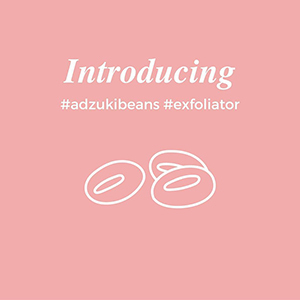 At Be Fraîche, we mill and sterilise our own Adzuki bean powder to ensure its purity and freshness. We carefully select the high-quality essential oils to create products that not only smell great but also are effective. For example, I used Frankincense and Patchouli in my Flower Cream because they’re the king and queen of anti-aging essential oils. 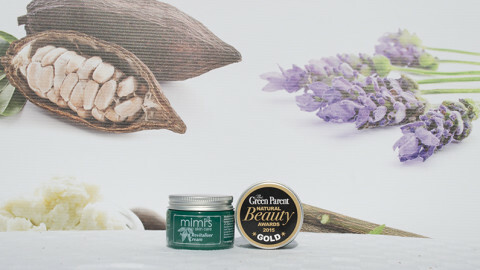 They not only carry interesting scent but also work wonder on skin. Where did the name ‘Be Fraîche’ come from and where did you get the inspiration from for your brand? Be Fraîche is a piece of me. It’s a mixture of my Asian heritage, French education and the down-to-earth Australian personality. French is my second language and spending a few years living and studying in the south of France was my younger self’s dream. Thus, I did it and loved to bits! I love the warm sun, the friendly people, the romantic and beautiful landscapes, the food, and many wonderful memories! Years later, I came back to the South of France again to learn about perfumery. To me, the connection I have with France is always about exploration and learning new things. That’s why I wanted my brand to carry certain French characteristics and at the same time, to be feminine, chic and timeless. Hence, Be Fraîche, as I wanted everyone to feel like they’re experiencing something new, something fresh when using the products or interacting with the brand. 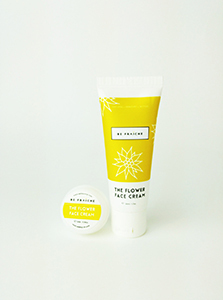 What type of skincare products do you sell at Be Fraiche and which one is your favourite? 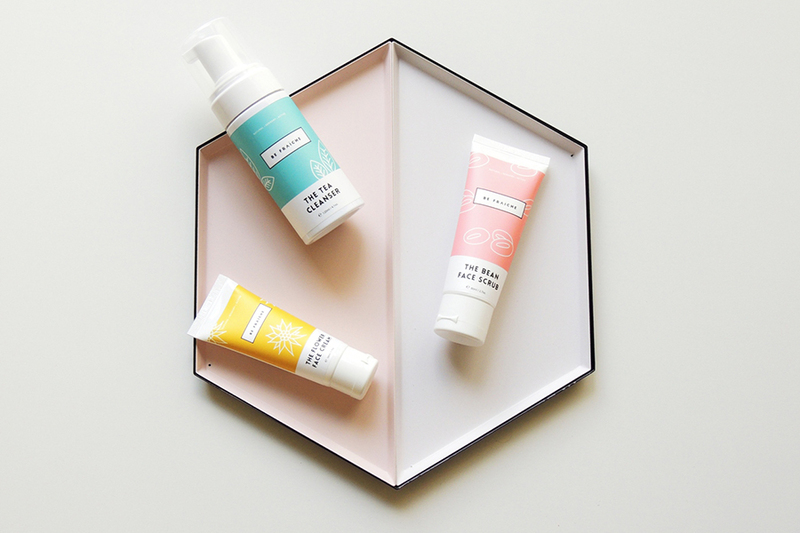 I started Be Fraîche with a simple range of essential facial products for women. 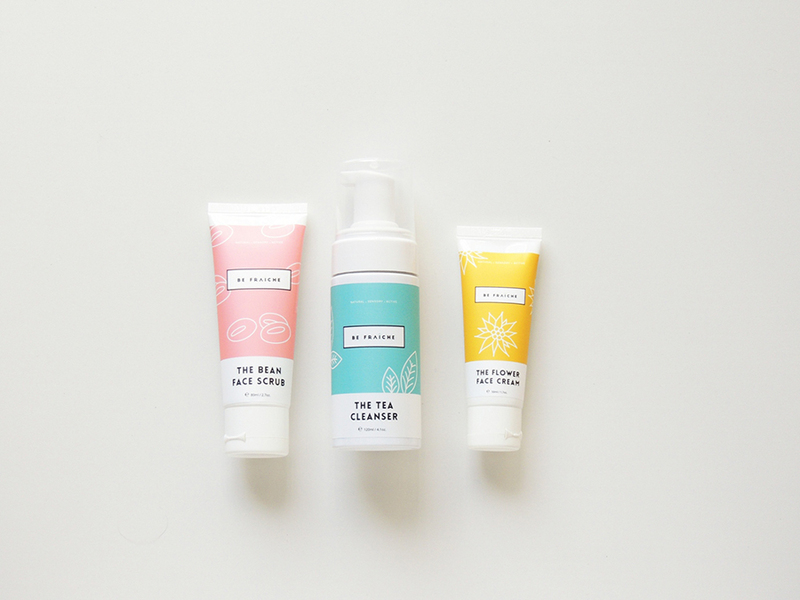 I name them: the Bean Face Scrub, the Tea Cleanser and the Flower Face Cream. The concept of each product is quite unique. Each product is scented differently according to their name. 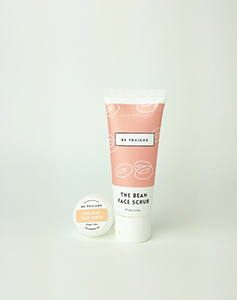 As you can see the Bean Face Scrub is a balm-to-milk face scrub that is inspired from Japanese beauty secrets, Adzuki beans powder. Having been unable to find a supplier who could supply adzuki bean powder locally, I decided to mill raw organic beans myself. It was the best decision ever! The powder is extremely fine, as fine as flour, and, of course, fresh, just like our name. This is my proudest formula as it took me 19 tries to get it perfect. 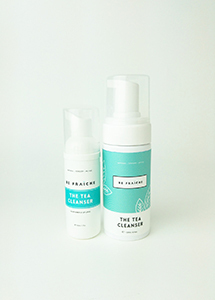 The Tea Cleanser is something that has been inspired from my love for tea. 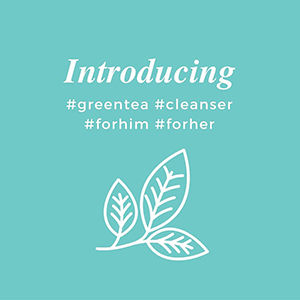 I wanted to create a simple cleanser that cleanses properly and carries the scent as well as the benefit of green tea. 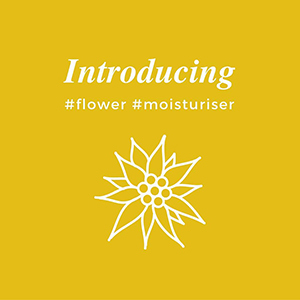 Last but not least, the Flower Face Cream was inspired by the summer sun and flowers in the south of France. Thus, the yellow color and the unique scent. They’re all my favourites but I have to say I like the Flower Face Cream the most as it works wonder on the skin and the scent reminds me of France. 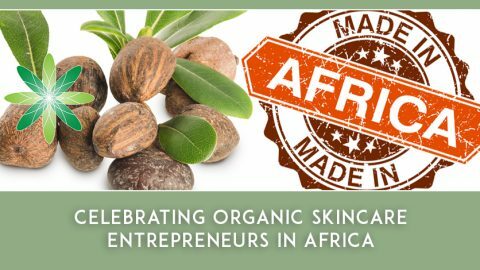 I take the International Organic Skincare Entrepreneur Program and have completed the Diploma and Tutor Training. I’m currently in the middle of my Advanced Diploma and Anti-Aging courses. 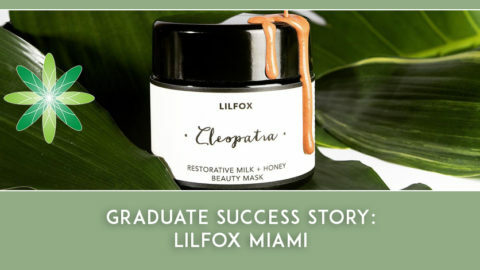 The Advanced Diploma and the Diploma in Organic Skincare Formulation are my best courses. Not only that I’ve learned the ins and outs of skincare formulation but also about regulations, legalities and how to start my skincare business. The Tutor Training course is something really valuable if you want to run workshops. Based on the course, I wrote 5 different workshops and have been running my skincare workshops since January 2016 in Sydney. Teaching others has helped me reinforce my learning and at the same time broadens Last but not least, the school support is so great that I’ve never felt alone. Definitely the creativity process! I’ve always been a creative person and leaving the corporate behind was my best decision. I love creating both the products and the visual part of my brand. I’m so glad I now can unleash my creativity to its full potential. 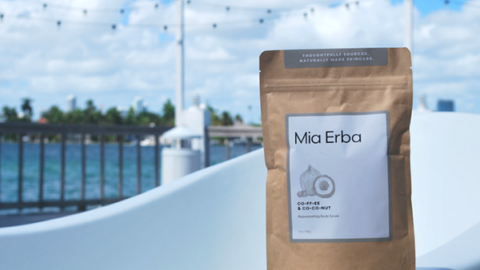 I love waking up daily knowing that there are interesting things to work on from packaging design, to social media layout, to product photoshoot, product design & formulation, and website. I guess I’m living my dream job now. Wearing multiple hats at the same time. While I love working on creative tasks, other tasks still have to be taken care of. I do know my own limitations and that getting help from others is necessary. That’s the reason why I’ve outsourced the production to a local manufacturer. Even so, I’m still working on multiple roles daily until I can afford to hire more people to help. But I guess that’s how start-ups grow. We all have to start somewhere and build from the ground up. Outsource and delegate. My best business decision to date is outsourcing the production. I understand that giving out our precious formulas to manufacturers is not easy, especially when we are the creators of our products. What if they can’t create something as good as we do? However, what if they can make fabulous products just like ours so that we gain more time to take our businesses to the next level, or creating new range, or being present to the press, for interviews, for clients, for pop-up shops, etc. Think of what you’re good at and delegate what you’re not good at to those who can do a better job than you.